Partially glazed entrance door giving access to the hall which has stairs to the first floor landing. Door to bedroom one and doorway to the kitchen. A superb modern Shaker styled kitchen with an excellent range of cream wall and floor units, with under unit and pelmet lighting. The kitchen incorporates a wine rack, solid wooden worktop surfaces, a Belfast sink and an integrated dish washing machine. Belling gas range with the cooker hood above and a cupboard housing the central heating boiler. The kitchen has under floor heating and a double window to the front with a window seat below. Inset ceiling spotlights making the kitchen bright and airy, entrance door to the rear yard and a central heating radiator, Fifteen power points, a telephone point and a television point. 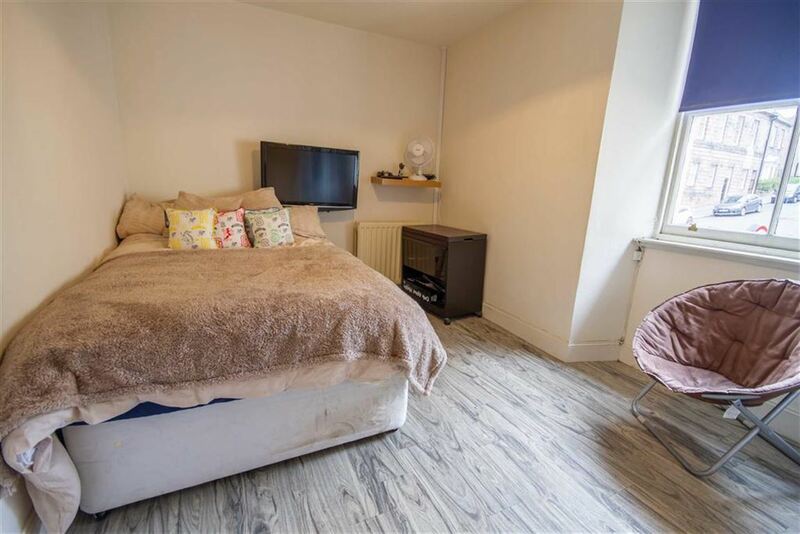 A large double bedroom with built-in wardrobes to one wall offering excellent storage. Double window to the front with working shutters. Central heating radiator, four power points and a door to the en-suite toilet. Fitted with a white two piece suite, which includes a toilet and a wash hand basin. With a window to the rear and one power point, the landing gives access to all the rooms on the first floor level. A superb dual aspect reception room with a window to the rear and front of the house with views up Ravensdowne. Attractive feature brick built fireplace with a chimney breast. Two central heating radiators, solid walnut flooring and stairs to the second floor level with concealed lighting. Six power points, a television point and a telephone point. Fitted with a modern white three piece suite, which includes a walk-in shower cubicle, a low level toilet with a toilet roll holder and a wash hand basin. Heated towel rail, an extractor fan and inset ceiling spot lights. 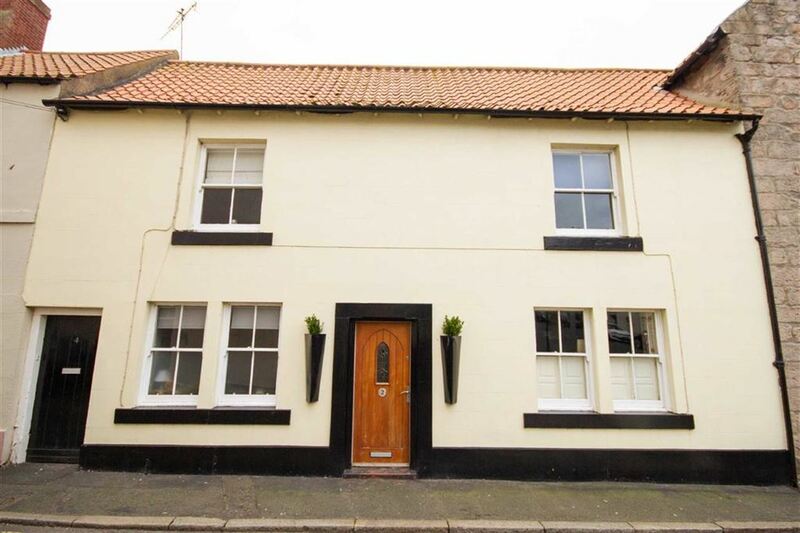 A generous double bedroom with a window to the front and a central heating radiator. Telephone point and four power points. Giving access to the bathroom and bedroom three. 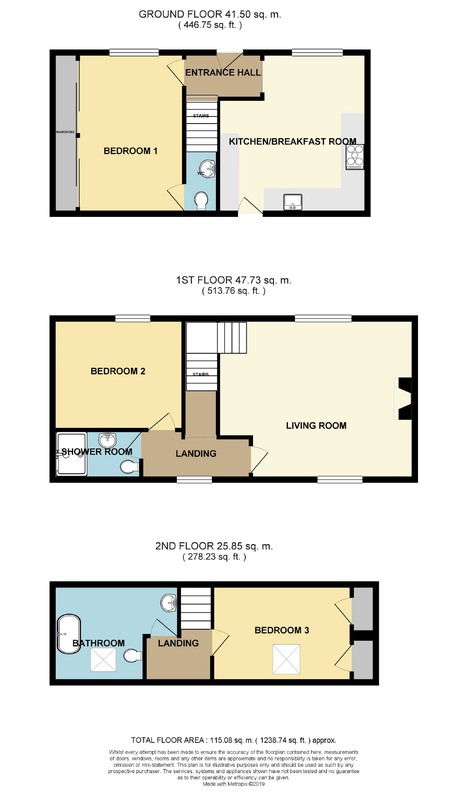 Another double bedroom with two useful built-in storage cupboards. Velux window to the rear, a central heating radiator and four power points. 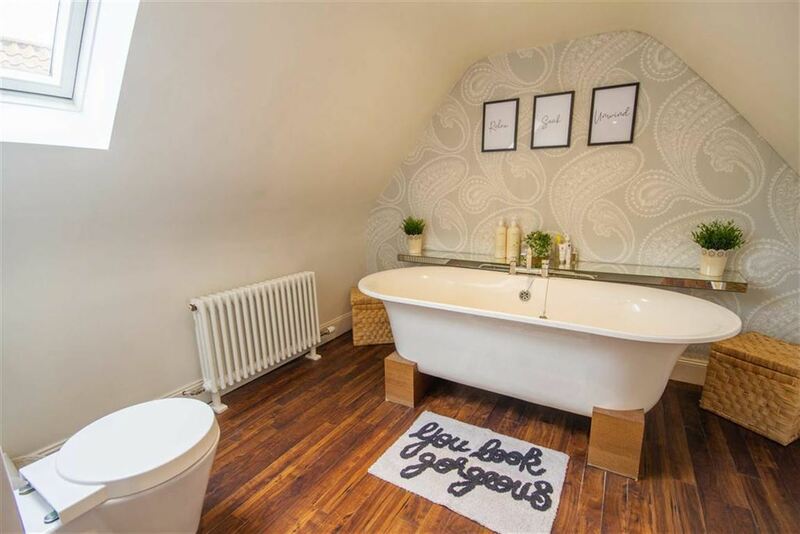 Fitted with a top quality white modern three-piece suite, which includes a free standing roll top bath, a low-level toilet and a wash hand basin with a mirror above. Solid walnut flooring and inset ceiling spotlights. Velux window to the rear and a central heating radiator. The property has access to a shared rear yard, which has a timber shed with plumbing for an automatic washing machine. All fitted floor coverings included in the sale.